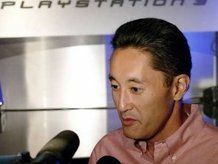 After the departure of Ken Kutaragi in November 2006, amid harsh criticism over the PlayStation 3’s difficult birth, Kaz Hirai stepped into the breach, assuming Kutaragi-san’s mantle as President and CEO of Sony Computer Entertainment. This means that for the last year and a half Hirai has been the big man at PlayStation – no mean feat for someone who, although of Japanese extraction, certainly sounds American, and previously headed up SCE’s American operation. But it’s easy to see why Hirai was picked to take over the reins from the ‘Father of the PlayStation’: he’s a very slick, articulate operator. In May, Sony held a showcase of its top games for 2008 at Indigo in the O2, and for the first time, Hirai found himself facing the press in the UK. TechRadar managed to catch up with him after his speech, and this is what he said. “I think that some of the initiatives that I put in place after I took over the job in Japan are starting to bear fruit. “We talk about this all the time: the fact that we’ve repositioned the PlayStation 3 as being first and foremost a videogames console. I think that cleared up a lot of confusion in everybody’s minds – certainly people in the press as well as consumers. And if we’re saying it’s first and foremost a videogames console, we’ve got to back it up with some big games. “So we’ve put some initiatives in place to make sure we have more and more titles coming out on the PlayStation 3 from both first-party studios and third-party publishers. Hirai actually has a third string to his job-title – recently, the well respected (and London-based) Phil Harrison, then President of Worldwide Studios at Sony Computer Entertainment and therefore the man in charge of all in-house development, left to join Atari. So Hirai took over Harrison’s old job, too. “I think that Worldwide Studios is an organisation which has functioned very well. There are some resources that get shared now between all the studios, which used to go off and do their own thing in all the territories. Like, for example, operational servers for online games, or format QA testing as well as, perhaps more importantly, technology sharing. “That’s working out really well, and the fruits of our labours are really starting to show as well, in some of the first-party titles that have come out and are coming out this year and beyond.